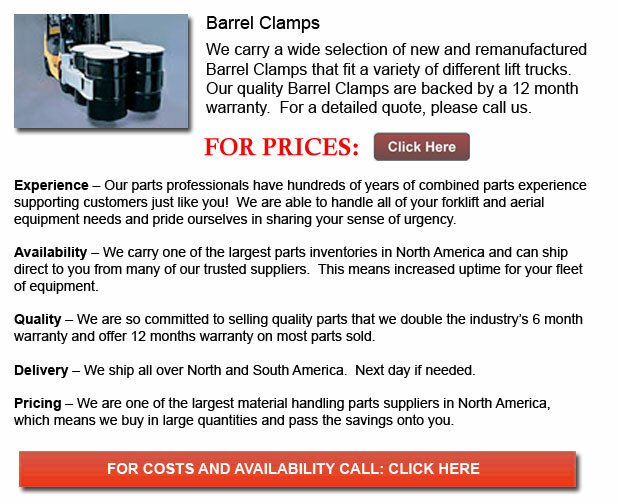 Barrel Clamp - A Barrel Clamp is actually a mechanical or hydraulic attachment designed for a lift truck. It can be used to grip the object you would like to transport using the lift truck and is usually used for handling kegs, paper rolls and barrels. A few types of barrel clamp attachments even have a revolving function. For example, the rotate function allows the one operating the forklift to be able to put in a vertically stored paper inside the horizontal intake of a printing press.